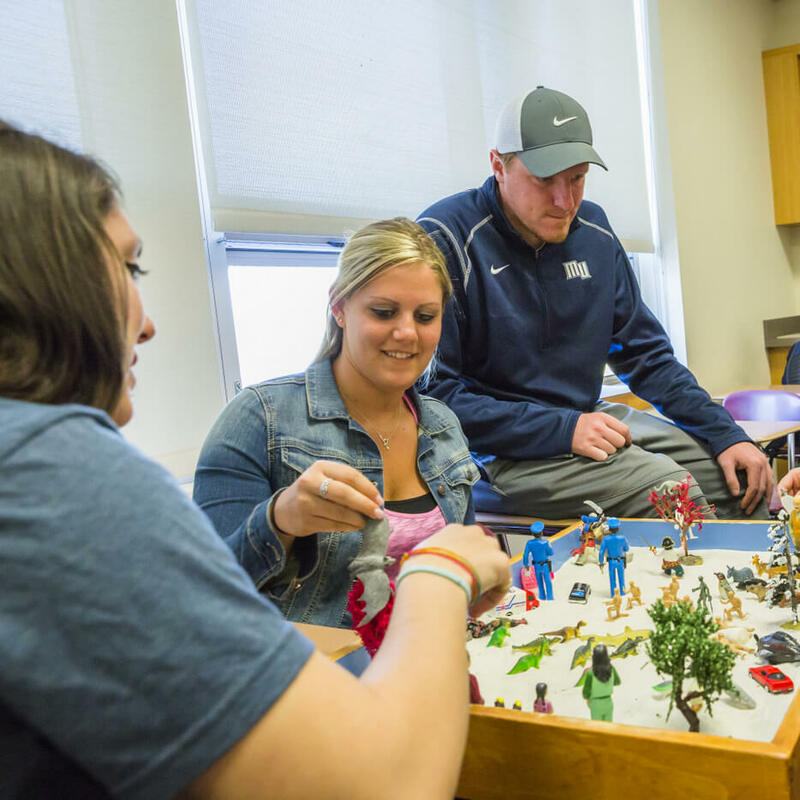 Monmouth’s Master of Social Work program offers a comprehensive, 18-credit Graduate Certificate in Play and Expressive Therapies designed to enhance the clinical practice of mental health professionals working with children and adolescents. This program is designed for people holding an M.S.N., M.S.W. or M.A. in a medical or mental health field. Eligibility for licensure in that discipline is also required. Our Certificate Program includes graduate-level Play and Expressive Therapies-specific courses that exceed the 150-course-hour requirement for mental health professionals pursuing a Registered Play Therapist (RPT) credential from the Association for Play Therapy (APT). As a student in this program, you can also work toward the required 500 direct practice clinical hours in play therapy and the required 50 hours of supervision necessary to become a Registered Play Therapist. Four courses are hybrid, alternating online and in-class learning, and meet every other weekend on campus. 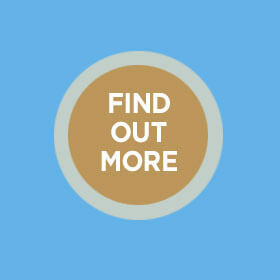 Two courses are currently offered completely online. Courses may be taken in a flexible manner. You may opt to take one course at a time or a full schedule, which usually consists of three classes. Students registering for the Play Therapy Seminars must be employed or willing to intern in a setting where they can professionally practice Play Therapy techniques with children or adolescents. If you need an internship, you can discuss your options with the program coordinator. Applicants planning to pursue the Association for Play Therapy Registered Play Therapist (RPT) credential are strongly encouraged to review the Association for Play Therapy’s core requisites and requirements at www.a4pt.org. The U.S. Department of Education requires that we disclose certain information about academic programs that do not lead to a degree (e.g., certificate programs) but that prepare a student for gainful employment in a recognized occupation. The Graduate Certificate in Play and Expressive Therapies program at Monmouth University is defined as a gainful employment program. You can review the required disclosures. Should you require additional information about these gainful employment disclosures, please contact the Financial Aid Office.